Sabourin Kimble & Associates Ltd. continue to provide Consulting Engineering services throughout Greater Toronto and surrounding regions since our inception in 1988. SKA has developed a strong reputation in the Land Development Industry and offers specialties in Municipal Engineering and Stormwater Management. 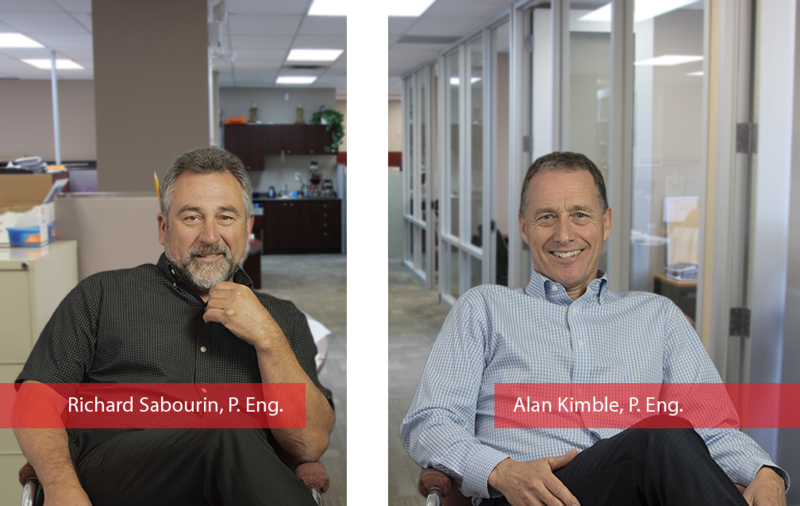 The Founding Partners Richard Sabourin and Alan Kimble remain active in Sabourin Kimble & Associates Ltd. on a daily basis. The Firm is managed and directed by the Partners, Bill LeMaistre, Krista Boyce, Geof Nicholson and Ryan Sabourin, who guide Professional Engineers and Engineering Technologists and Technicians. Sabourin Kimble & Associates Ltd.’s mandate is to provide a high level of customer service that will assist all clients towards the successful completion of their projects. All Clients receive personal and professional involvement with senior staff and the Partners of the Firm.